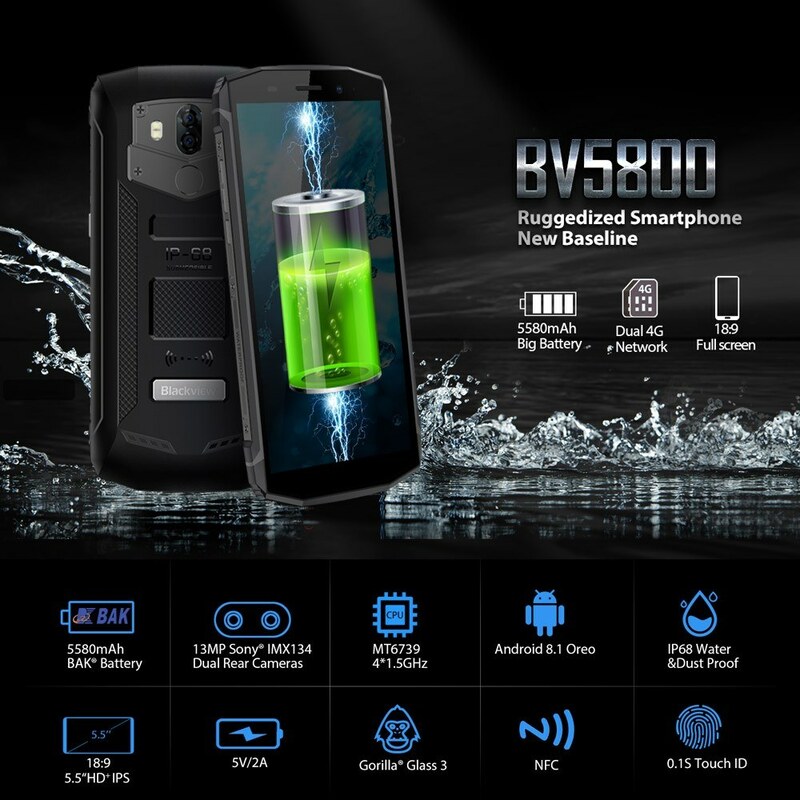 Blackview BV5800 adopts CNC perfectly ergonomic body, Triple Proofing, Waterproof, Dustproof, Shockproof. 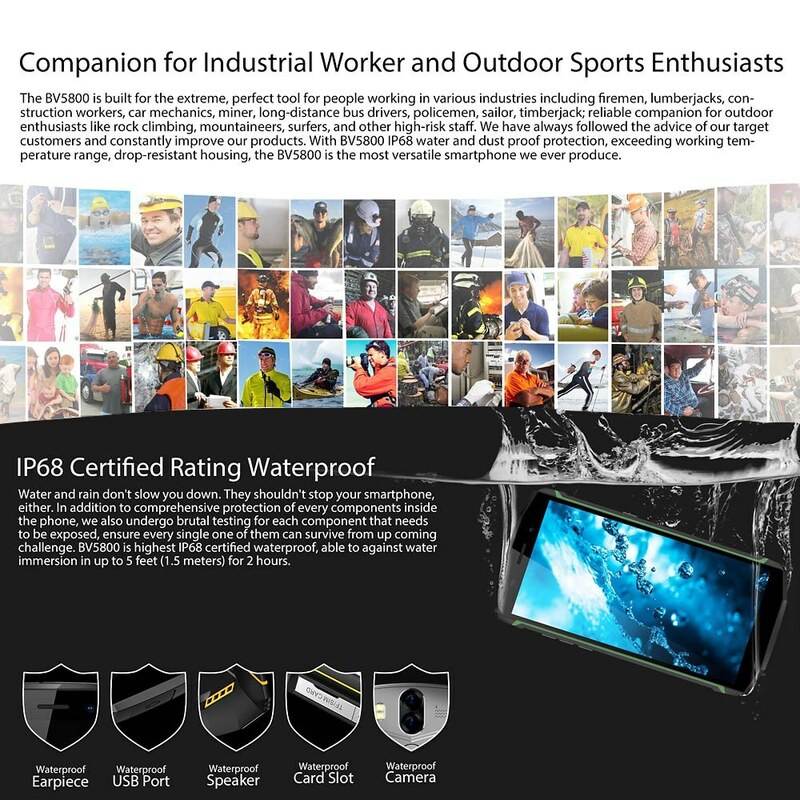 Waterproof: passed the IP68 water proof standard. 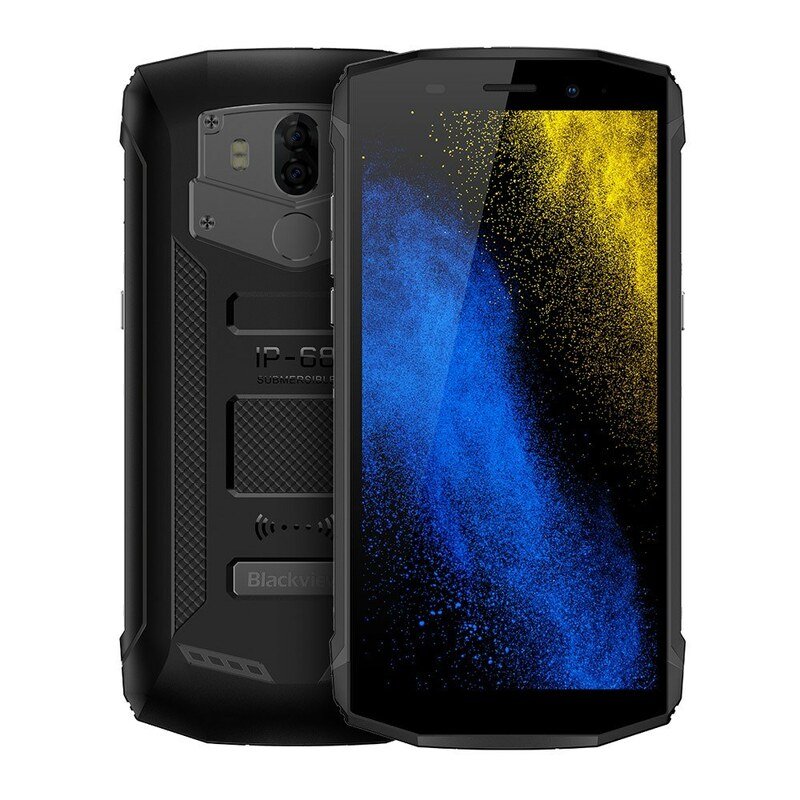 Dustproof: The exceptional closure armor body also keeps dust and dirt out while components will have longer life expansion. 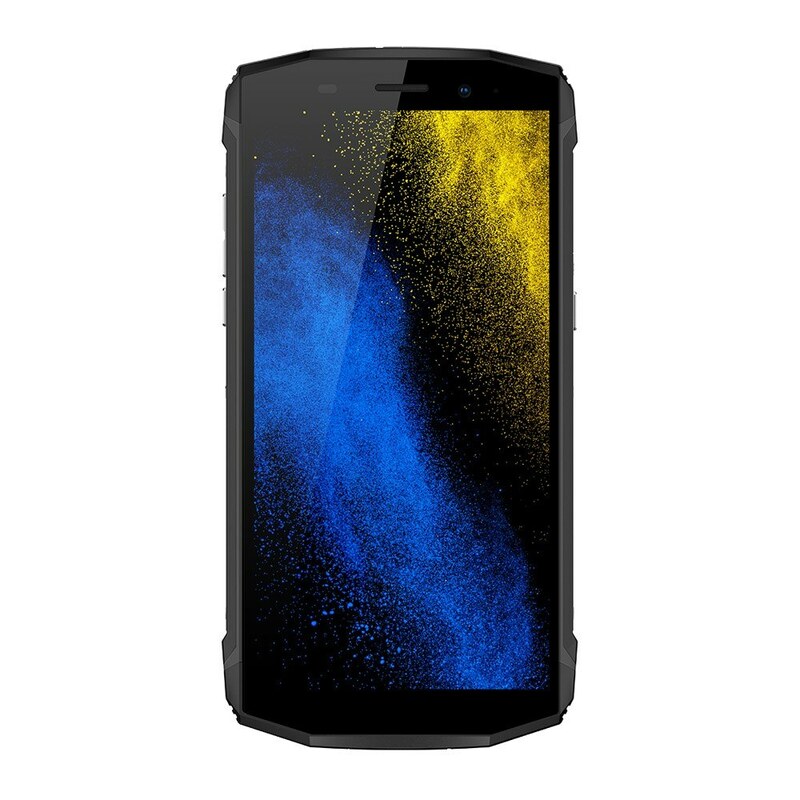 Shockproof: Through rigorous tests of contortion, high and low temperature, and physical key reliability. 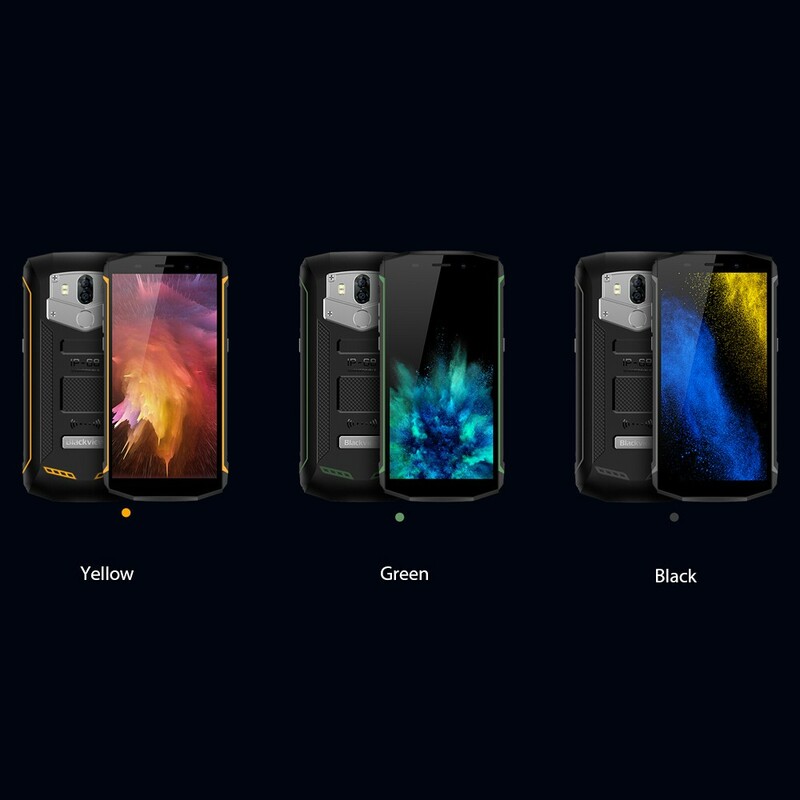 Survives any drop from normal height. Solid as Rock, Ready for Adventure. 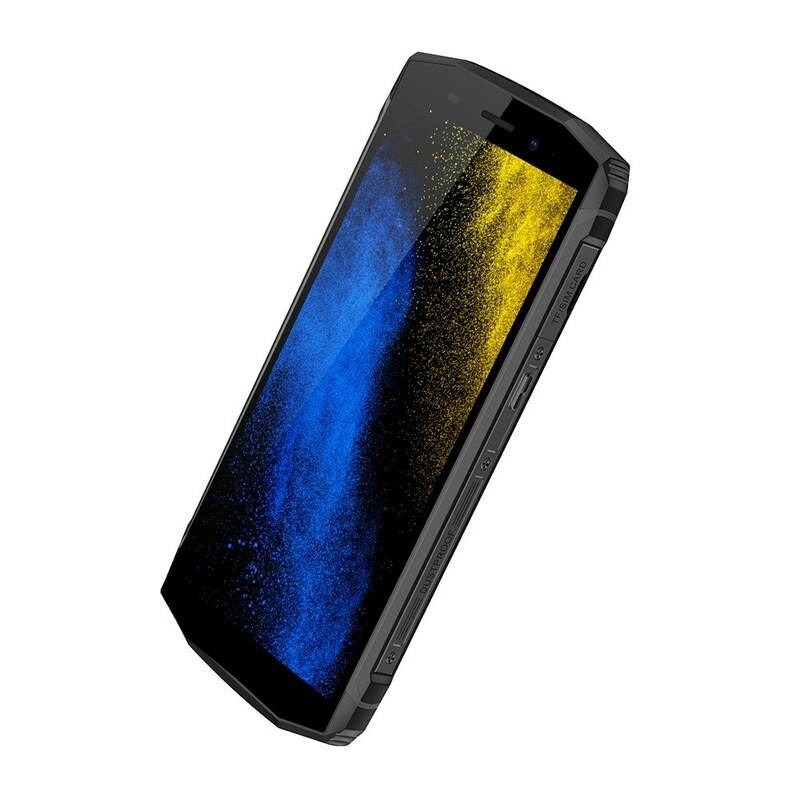 Alloy frame serves as cushion, protects the phone when it drops. Professional service under whatever kind of extreme hard environments. If you are a outdoor enthusiast, you can go over mountains and cross streams. 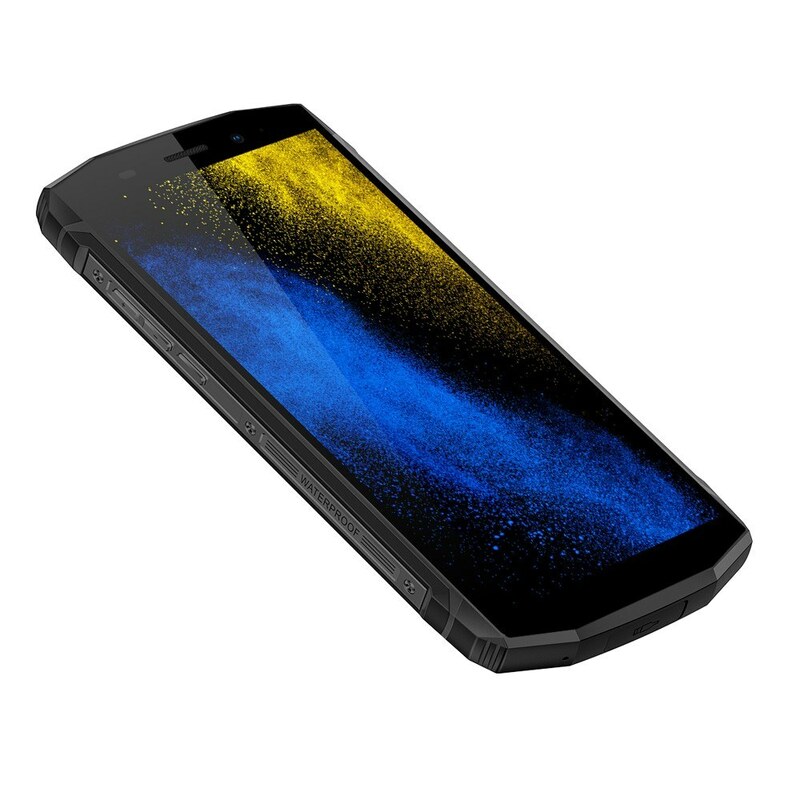 Loud and perfect ringtones and notification, 2 rear cameras that can captures high-quality images in different shooting scenarios, 5580mAh battery continuous long-lasting standby works from day to night, you'll never miss it. 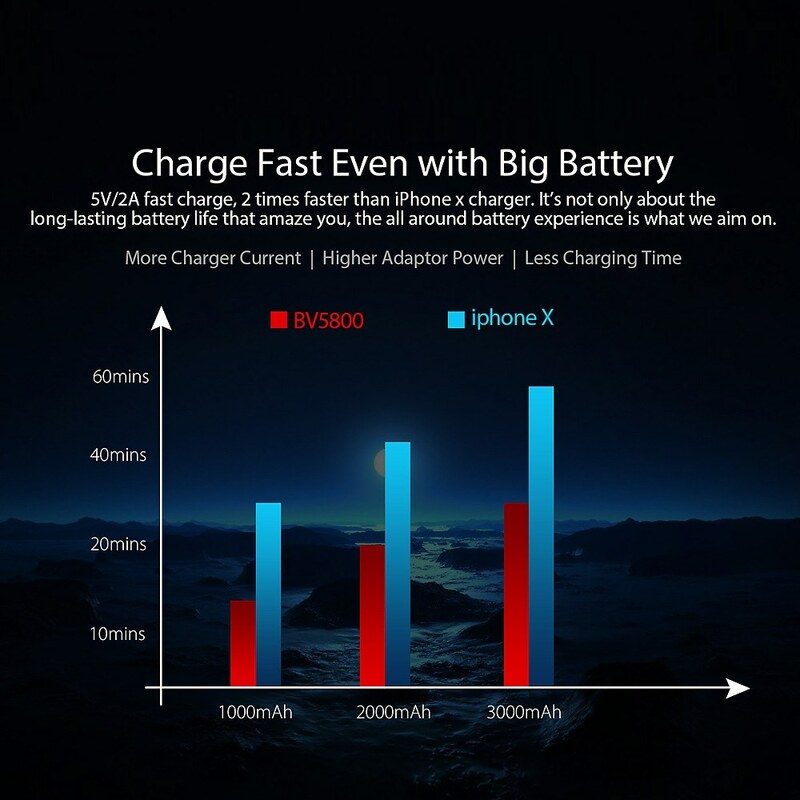 • FACE ID RECOGNITION: An accurate fast Side press fingerprint sensor with quick response speed. 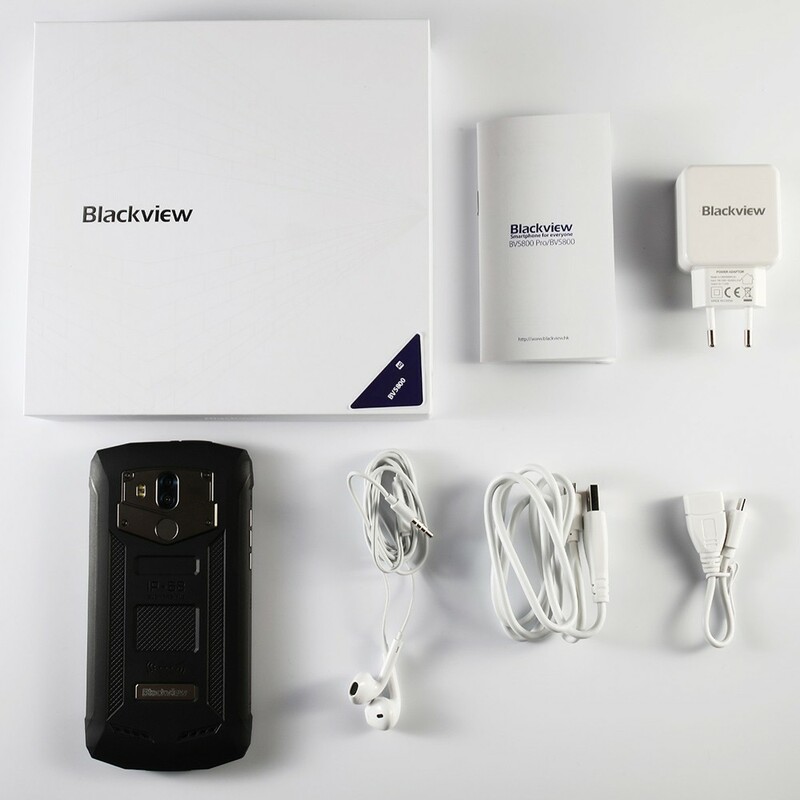 Set app lock, quicker access and more secure. 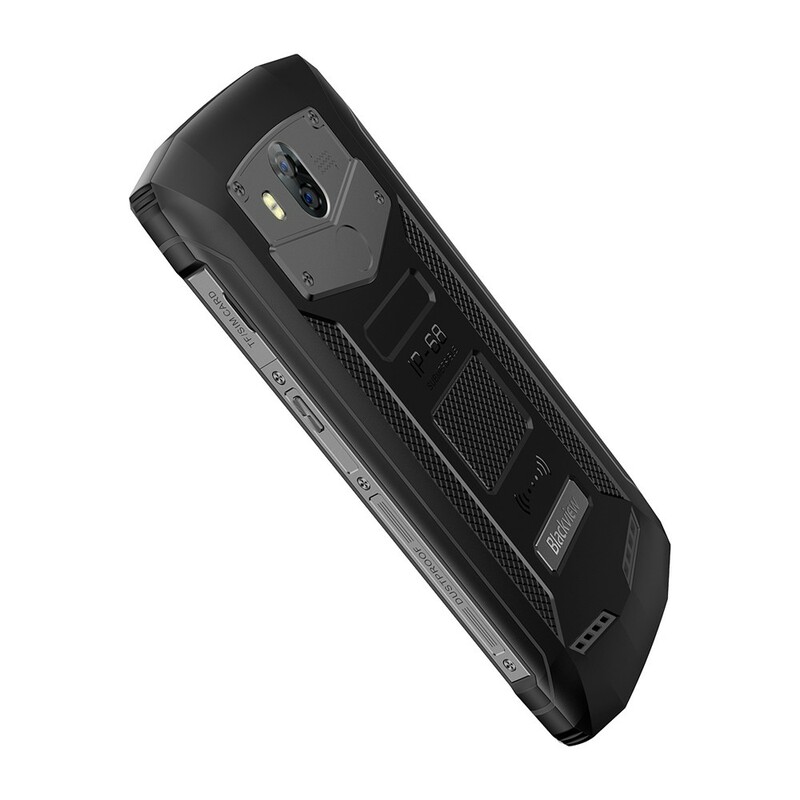 • IP68 WATER-PROOF Dustproof Dropproof: Rain-resistant, life waterproof, totally protection against dust. 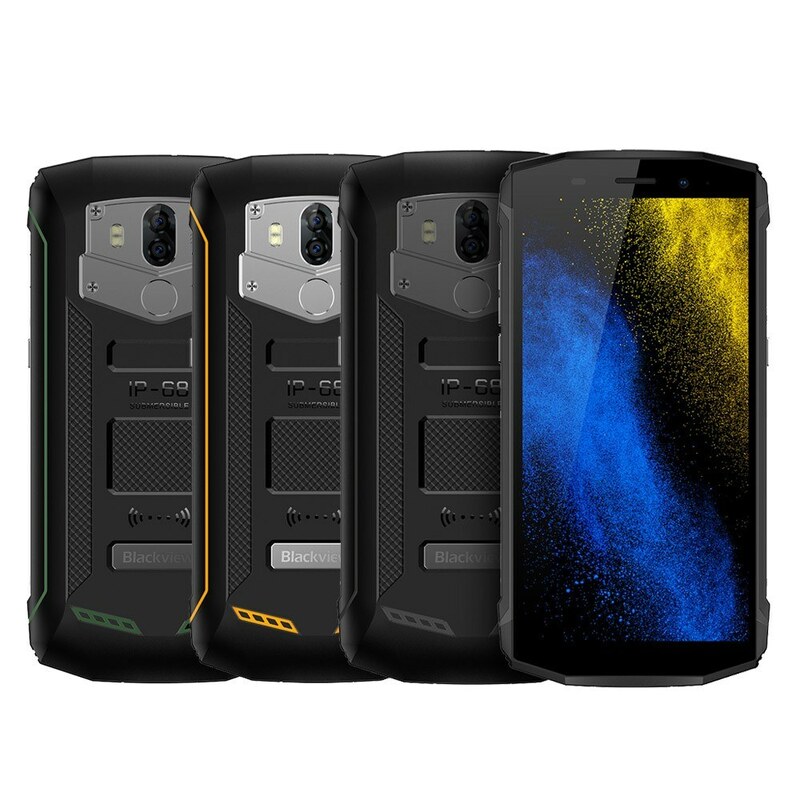 survives any drops from a normal height. 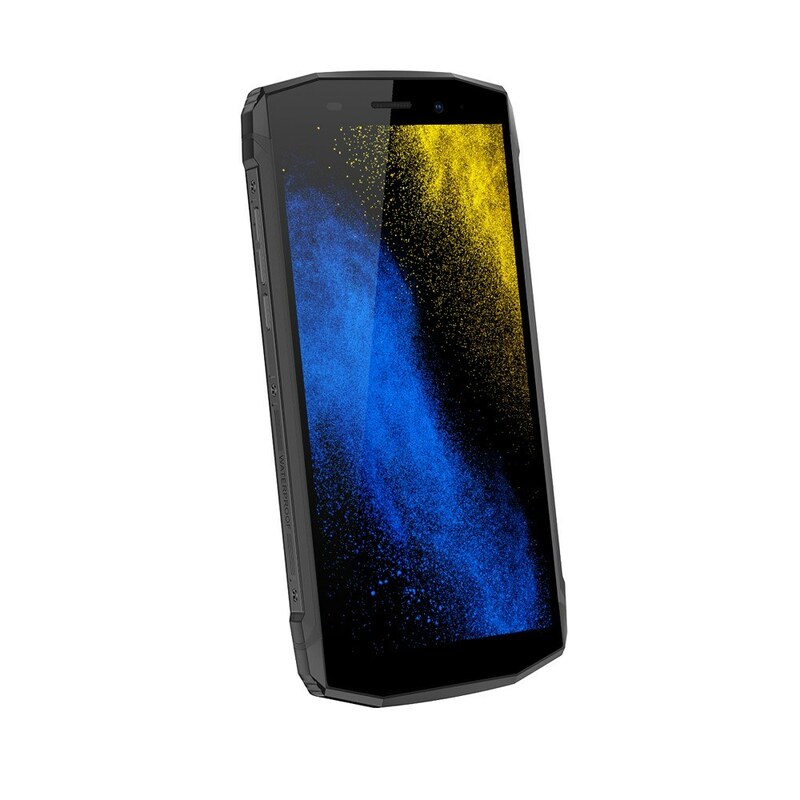 Exquisite workmanship, light and tough, silk smooth and soft touch, premium feel. 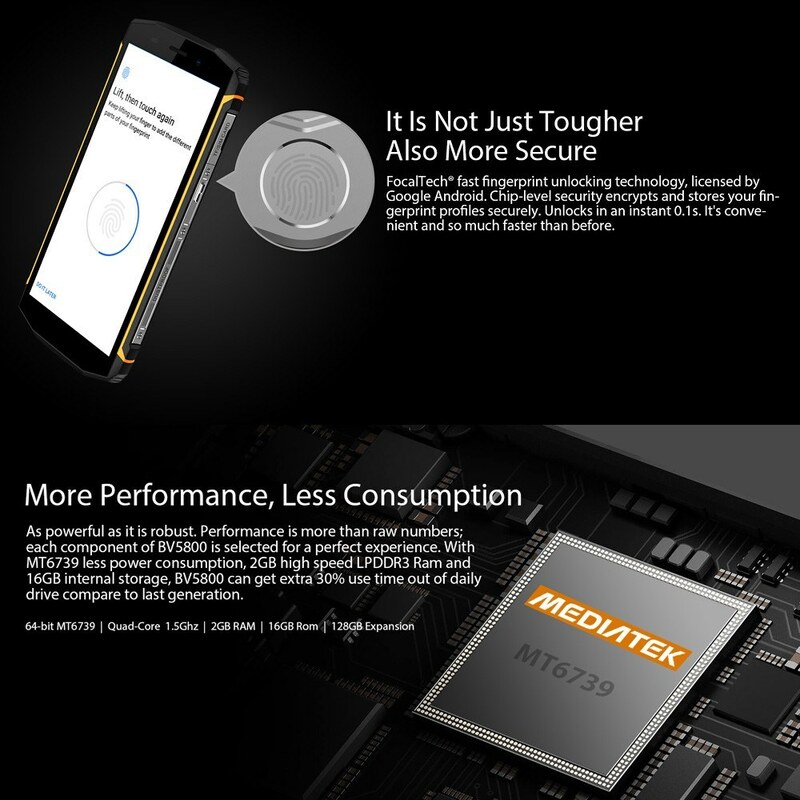 • MTK6739 Powerful Hardware & Optimized Software: Up to 1.5GHz MediaTek6739 Quad-core amazing processor, 2GB RAM & 16GB ROM ensures that muti-tasks, videos and games can run smoothly. 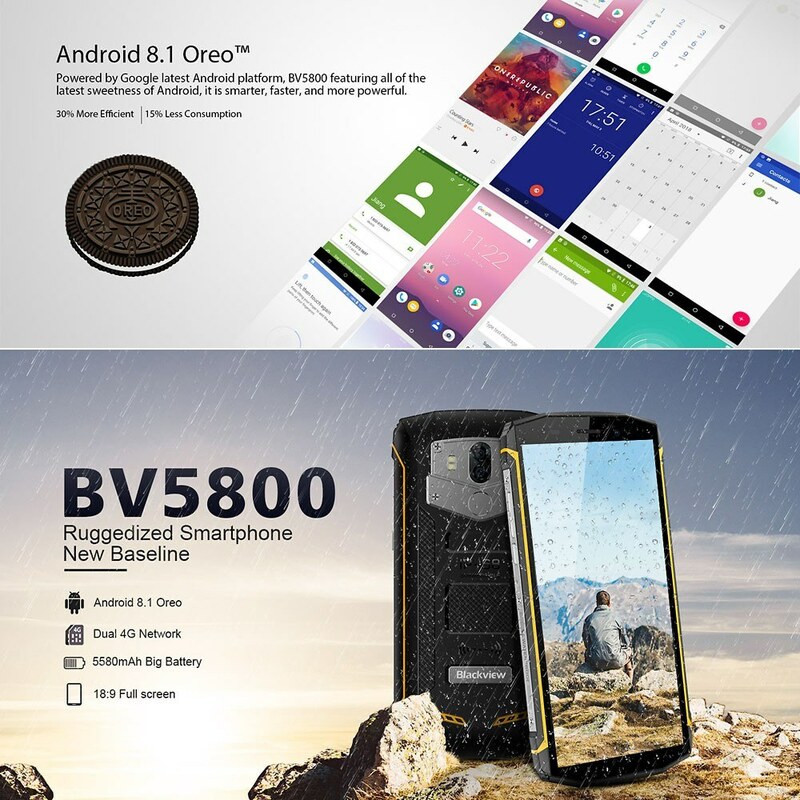 • Android 8.1 Stable Operation System: Including Google Play Store, Google Maps, Gmail, etc. 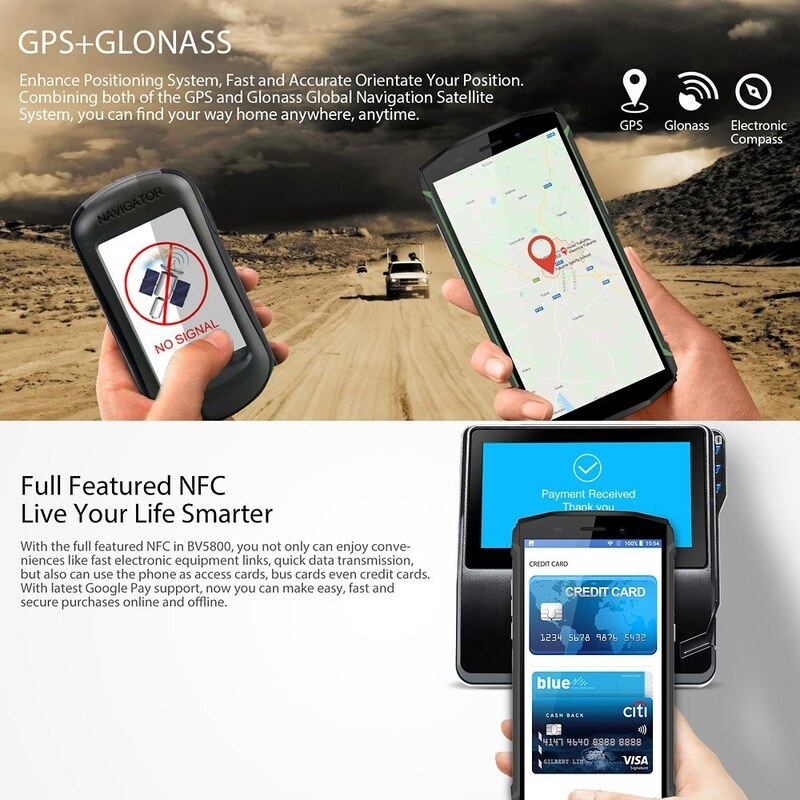 Support NFC, Smart Gesture, OTG, GPS, BT, WiFi as well. 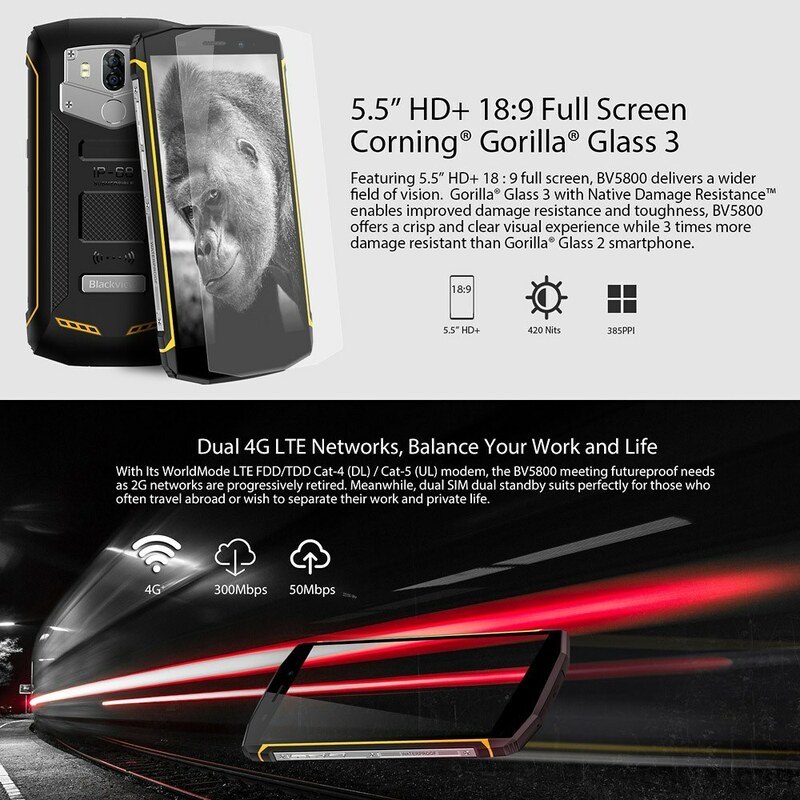 • 5.5-inch 18:9 Full Screen with High-definition: High-quality 5.5-inch HD+ high contrast Corning 3rd generations of gorilla glass touch display with 1440*720P resolution, high definition viual effect, vivid color of all your photos, videos, images and game scenarios. 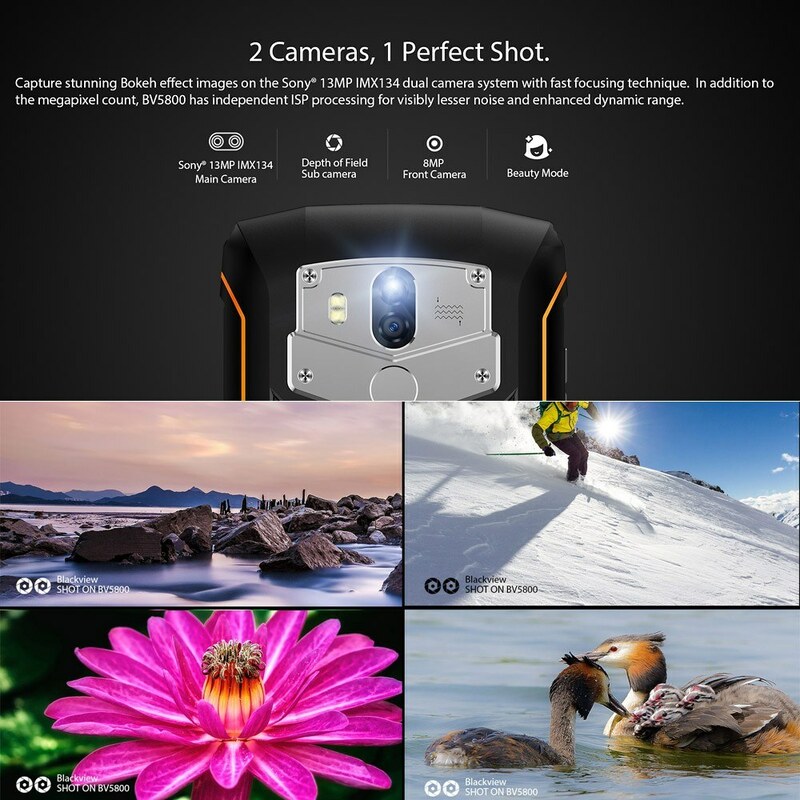 • 2-Rear-Cam Amazing Shooting Experience: Nice shooting better life. 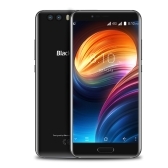 Powerful 13MP+0.3MP rear camera, together with 8MP front facing camera, plus HDR & face beautify mode, will help you to capture all of life’s great moments. 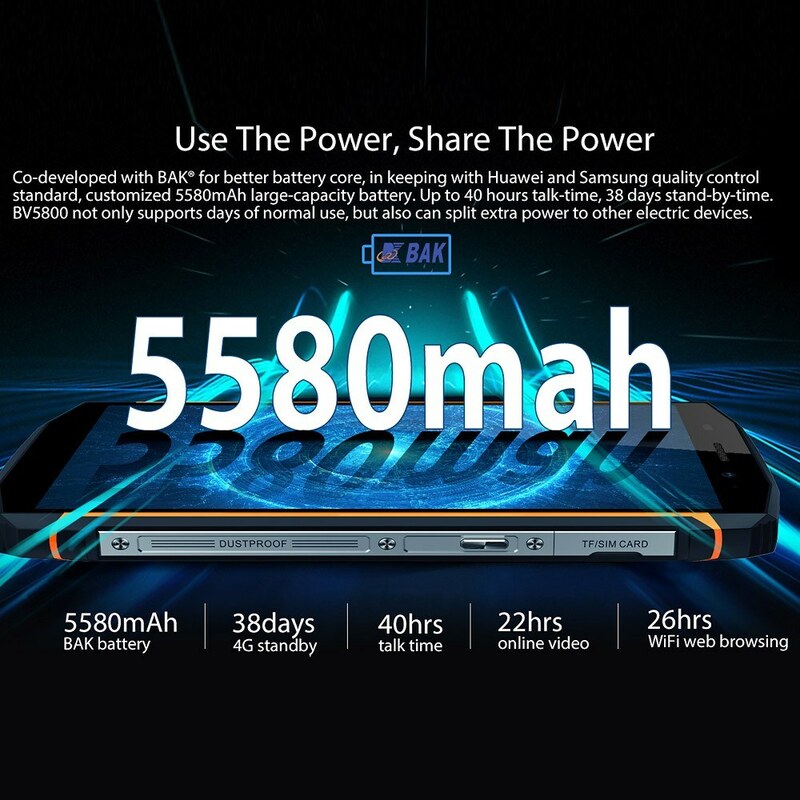 • 5580mAh 5V2A fast Charge Long Duration: Blackview BV5800 adopts long-lasting 5580mAh battery with 5V 2A quick charging adapter, keeps you talking, texting and running apps all day long. Multilanguage English, French, Russian, German, Spanish, Italian, etc. 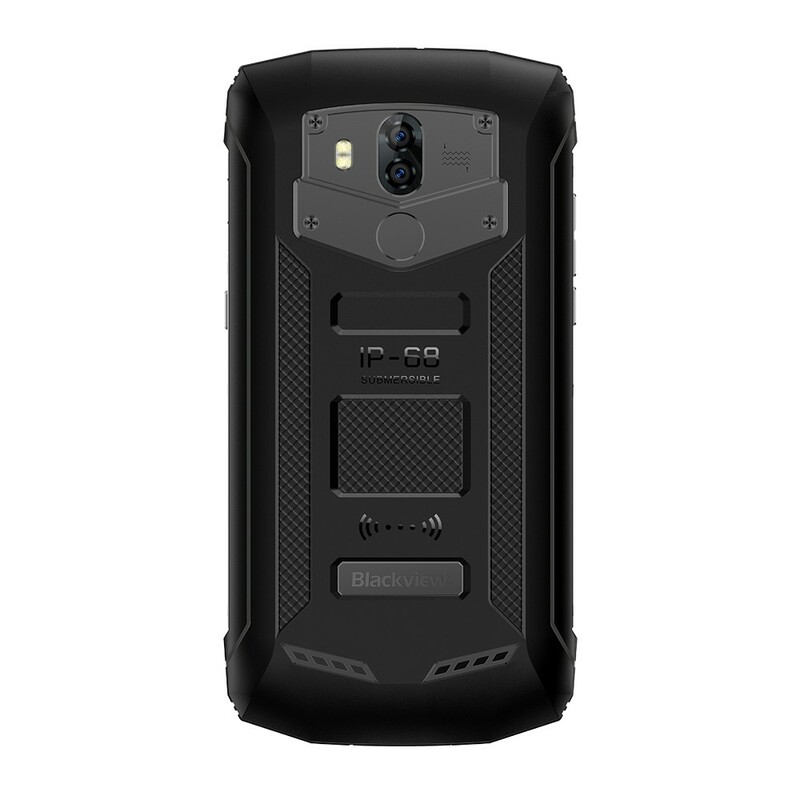 IP68 means dustproof, waterproof, but phone can't be soaked under water for too long. This item just resist generally unconscious drop impact and shock form normal height. We're not responsible for any damage caused by inappropriate operation.